US-based non-profit, the Environmental Working Group (EWG) has published its updated ‘Dirty Dozen’ for 2019. The list show which fruits and vegetables are the most heavily contaminated by pesticides. Disappointingly, an all-time favourite of health aficionados, kale, is now 3rd on the Dirty Dozen, following spinach, another health favourite. Most worryingly, all produce tested was washed and peeled, to simulate normal food preparation which highlights that washing alone doesn’t remove all pesticide residues, which become embedded in the wax cuticle and deeper tissues of many plant foods. In the UK, the Government’s Expert Committee on Pesticide Residues in Food’s annual report for 2017 found 54% of the samples tested contained pesticide residues. 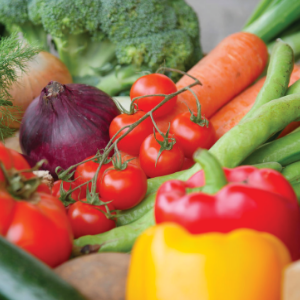 A recent study found eating organic produce reduced exposure to pesticides by up to 60%. Taken together, these results underscore the ever-increasing chemical burden from food and the benefits to be gained from sourcing organic fruit and vegetable produce where possible. Following the NHS’s announcement in regard to the increased use of DNA testing, UK Secretary of State for Health and Social Care, Matt Hancock is calling for expansion of its use to include predictive risk testing. During a speech at the Royal Society in London, Hancock said, “I see it as a game-changer for cancer screening in the NHS, and I’m determined that we harness this technology to save lives”. He revealed he had taken a DNA test, which found he has a fifty percent higher risk of developing prostate cancer and that he will be seeking further tests. Whilst this is generally a step in the right direction, the type of DNA testing Mr Hancock references looks at high penetration genetic mutations that require further tests and more screening, but are not modifiable through diet or lifestyle. Yet there is a raft of DNA tests which look at genetic copying errors that pre-dispose individuals to certain disease pathways, but are modifiable by diet and lifestyle interventions. These kinds of tests are very empowering giving people a roadmap for health creation, rather than engendering fear of disease. High penetration genetic tests certainly have their place in managing risk, but in looking for ways to ease the strain on overburdened healthcare systems, low penetration DNA tests should, in our opinion, be taking centre stage. Yet another new blockbuster drug aimed at combatting Alzheimer’s Disease has crashed and burned. Trials of Aducanumab were stopped after it was found unlikely to prove effective. This failure calls into question current dogma that targeting amyloid plaques is key to beating Alzheimer’s Disease. Often called type 3 diabetes, the link between high blood sugar and Alzheimer’s has long been known. It therefore makes sense to address metabolic dysfunction through limiting carb-heavy, refined, sugary and processed foods, focusing instead on whole, unprocessed fresh foods to reduce the risk of developing this disabling disease downstream. Given that the seeds of Alzheimer’s disease are sown 20-30 years upstream before symptoms appear, taking diet and lifestyle action early, while minimising exposure to neurological toxins, benefits patient health rather supporting pharma profits. Breastfeeding is the most natural way to feed a baby. However, aggressive tactics by infant formula manufacturers in recent years have seen global rates of breastfeeding fall. In a surprising and welcome move, the BMJ has announced it, along with its sisters journals, it will no longer carry adverts for formula milk highlighting ties between, “...formula milk manufacturers and the authors of guidelines on cow’s milk protein allergy”. The editorial cites the substantial harms caused by aggressive marketing and resultant biases in research from industry influence as a factor in this decision. A recent study revealed there were high levels of aluminium found in many infant formulas, which comes with associated health risks. We applaud the BMJ’s decision and its commitment to actively promote and support breastfeeding in future. The number of US citizens practising mind/body therapies such as yoga, qiqong and tai chi has almost tripled compared with 20 years ago according to a recent survey. Using information from the National Health Interview Surveys, researchers found many people use such therapies to help with depression, anxiety and pain as they focus on the whole person. Taking a holistic whole-person approach to health care is a central component of our sustainable health blueprint. it's an approach that could help communities move from the existing disease management paradigm to one based around health creation and regeneration.